Frank Frazetta has passed away at the age of 82. One of arts most successful modern contributors, Frank’s body of work inspired whole generations to pick up the pencil, or paintbrush, and was something that was regarded as special across a wide range of cultures; from fantasy to heavy rock, much like the man himself. For me, like many I came across Frank's work when I was a teenager. A massive fan at the time of fantasy pick-a-path books and the board game HeroQuest - think Dungeons and Dragons lite - I had been sketching and writing my own fantasy based stuff for a while, and in researching for my 'art' efforts I came across this piece of Frazetta genius. Titled The Silver Warrior it blew me away. It was a one-shot freeze frame of a story, I instantly wanted to read more of but couldn't. That was part of Frank's magic. No matter how still his art or subjects were - you always were left wanting to know what happened next. The mountains in the backdrop - so brief but any more would've made it too much... And the polar bears... see, in Frank's work you could and can easily loose yourself, no matter how often you look at it. While I never picked up the paintbrush, it did inspire me to try something new. I picked up charcoal as a medium and took to working on bigger a scale, a messier scale, having fun with art and just pushing the black around, creating fantasy images in a medium that suited the atmosphere of the pieces and just experimenting with what the benefits of charcoal allow you to get away with. Maybe those are lessons and experiences I need to re-learn and do some more of. An artist then an icon always – Rest in peace Frank. 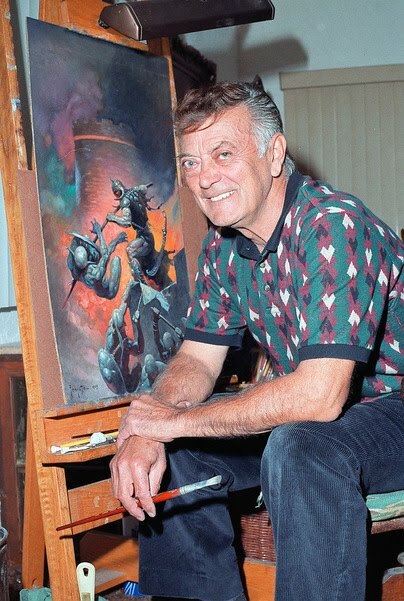 Thank you for sharing this news about Sir Frank Frazetta. I first saw his work on my Uncle's art shop. Mr. Frazetta's work inspired me to draw also. I realized now, after reading your post that great artist like Mr. Frazetta don't just awe his audience with his work, he pushes us to explore also what we can do with our imagination, a pencil and a black canvas or paper. Although, it is sad to learn about this lost. I am still happy to be part of a generation who witness his work while he is still alive. 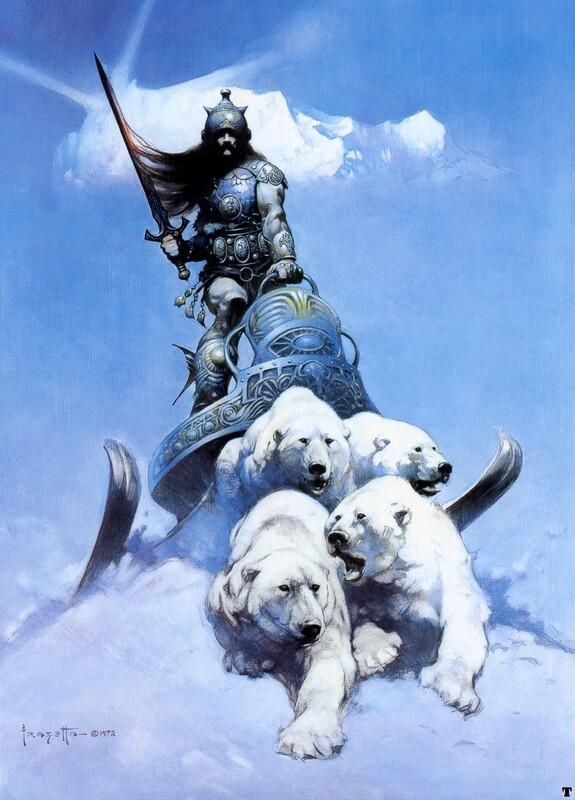 Frank Frazetta is Dead, long live Frank Frazetta. Thanks for sharing those awesome comments on Frank's work! He, and is work has (and will still be) so inspirational to so many, it's great to hear and share in how it affected and created a common bond with people all over the world. What a great legacy to have made.